Here is the Bell and Evans website. Bell and Evens is a chicken producer. 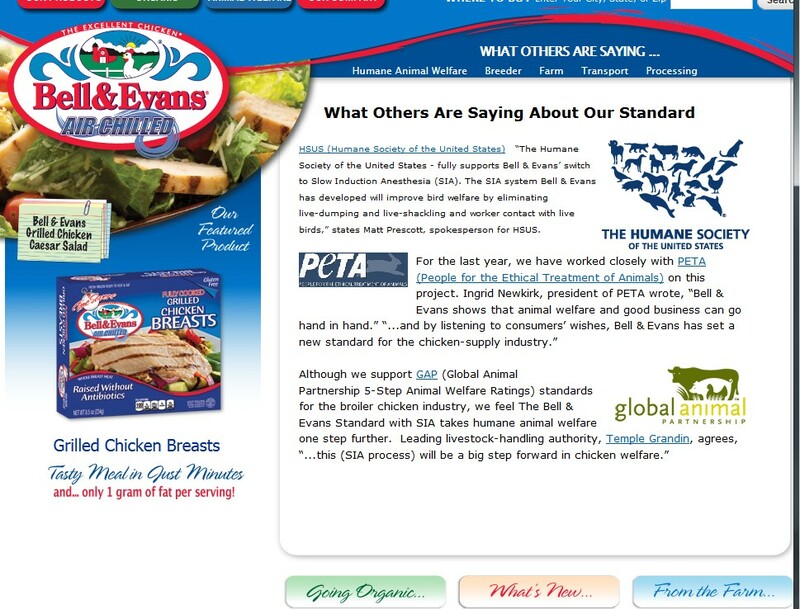 Bell and Evans advertises that HSUS, PETA, and the Global Animal partnership support it. Please don’t tell me that the major animal groups aren’t partners with the institutional exploiters of animals.